Diligence. Dedication. Impeccable Service and Diplomacy. 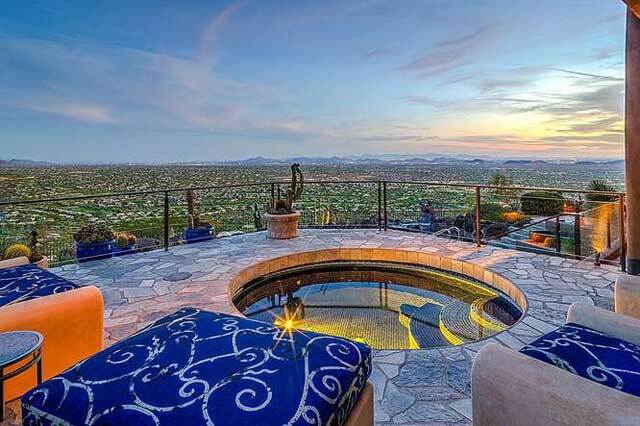 Lesley Vann has earned a seat at the top-producing Chairman’s Board, enthusiastic testimonials, and the distinction of garnering the highest dollar Carefree, Arizona sale in years, with her multi-million dollar “Hawk’s Nest” listing. Having lived in various parts of the world, her clients enjoy the luxury of living here—or are ready to consider Arizona their first, second, or third home. Lesley is on the board of non-profit groups, sings, and volunteers with an animal rescue. Your best luxury Arizona real estate ally is Lesley Vann. No one will work harder for you! So, when you are ready to buy or sell real estate in Arizona, nationwide or internationally, contact Lesley Vann and Vannguard Real Estate Group! With many years of experience in sales, property staging and interiors, customer delight and galvanizing global networks to your front door, Lesley and Vannguard Real Estate Group look forward to assisting you and those you know in Arizona, nationally, and around the world, to sell a property, buy a property, rent, invest, divest, and relocate. They bring sellers the buyers they need, and synergy happens! Many of Vannguard's listings have sold in record time! Let Vannguard Real Estate Group innovate to help you buy or sell your properties! With a passion for making a difference, Lesley Vann and Vannguard Real Estate Group find it gratifying to help clients everywhere prepare, stage and sell their homes, find the homes of their dreams, and relocate when needed. Serving as Realtors enables Vannguard Real Estate Group to assist all who wish to buy a property, sell a property, buy and sell investment properties, timeshares, relocations, out-of-State referrals for all real estate needs and arranging short- and long-term rentals. They have been recognized for success in staging Listings to photograph superbly, hiring the finest high-resolution photographers, placing Listings in marketing and media ads, and welcoming buyers to their new homes! Daily, Lesley Vann and Vannguard Real Estate Group see they have made a difference. Please see their recent Testimonials on this site from customers delighted with their professional expertise and commitment to their Real Estate needs. Vannguard Real Estate Group looks forward to assisting you and those you know. Your referrals are welcomed and are provided with top-quality, caring and comprehensive real estate services. Thank you! Read what my clients have to say about me.